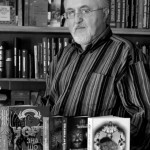 The Ukrainian author and journalist Yuri Vynnychuk was born in Ivano-Frankivsk (formerly Stanyslaviv) in 1952. From 1969 to 1973, he acquired a degree from the Ivano Frankivsk Pedagogical Institute and subsequently taught Ukrainian language and literature. During the Soviet era, he was only able to self-publish his work. In 1974, he moved to Lviv, where he managed a varieté theater from 1987 to 1991 and the Lviv newspaper »Gulvіsa« from 1995 to 1998. He also wrote for »Postup« and »Post-Postup«. 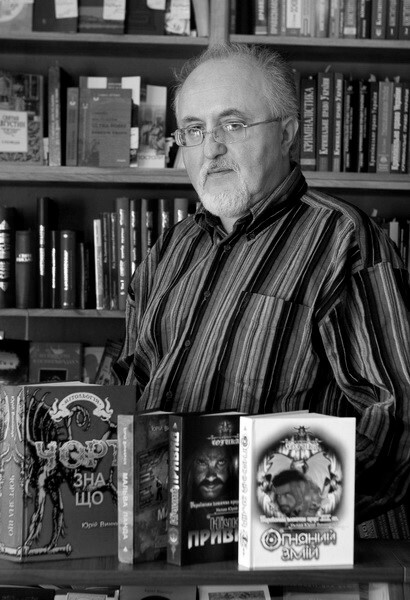 Vynnychuk has been one of the most influential literary voices in Ukraine since the 1990s. In 2012, he published his award-winning novel »Tango smerti« (Eng. »The Tango Of Death«, published in »The Fantastic Worlds of Yuri Vynnychuk« in 2012), whose title refers to Paul Celan’s »Death Fugue«. In his epos, Vynnychuk tells the story of the multicultural town of Lemberg (Lviv) over the course of several generations. Four friends – a Ukrainian, a Pole, a German and a Jew – grow up in 1930s Lemberg, survive the Second World War but, after being discovered in their hiding place, choose to take their own lives rather than face imprisonment by the Soviet secret service. However, the Jew, who plays the “Death Tango” on the violin for his friends prior to releasing a grenade designed to kill them all, ends up surviving the blast. In a second narrative thread that brings us to the 1980s, Vynnychuk tells the story of a scholar researching »Arkania«, a mythical land that stands for the old, bygone Lemberg. In the course of his research, the scholar stumbles upon the secret of the »Death Tango« and ultimately meets with the surviving member of the group of four friends, who is now 90 years old. The novel portrays Ukrainian national culture and simultaneously takes an anti-Russian approach: »His holy wrath is directed at the uncivilized hordes from Russia, who, after the Second World War, transformed the cultivated town of Lemberg into a mousy gray provincial backwater« (Ulrich M. Schmid, »NZZ«). The novel received the 2012 BBC Ukrainian Book of the Year Award. Vynnychuk’s novel »Aptekar« (2015; tr. The apothecary) takes place in the mid-17th century and follows a surgeon named Lukash who, after finishing his studies and military service in the Republic of Venice, travels with his friend Martin to Lemberg, where the latter has inherited an apothecary. Tragically, Martin is killed on the journey and thereby bequeaths to Lukash both the apothecary and his identity. In Lemberg, Lukash/Martin quickly becomes a respected and feared man; that is, until he investigates the death of a prostitute. The novel unites a number of genres and draws elements from fantasy, romance and crime novels. Vynnychuk’s works, which include children’s books, have been translated into several European languages. He is also a translator from Slavic languages, English and Celtic into Ukrainian. Vynnychuk lives in Lviv.